Account Activation is a compulsory process for unit owners in order to perform secure authentication and verification. In this update, we have provided more options to Activate your i-Neighbour account. You can now activate your i-Neighbour account via web. The process flow will be similar to Mobile Activate through activation code. Greeting Message is a feature for you to welcome each and every resident to your neighbourhood. The Admin of the neighbourhood can customise the message that will be displayed during their login to the Web and App. In this latest update, we have added two options where you can select whether to show the Greeting Message during the first time login only or each time you login to the website or the app. Only display when first time login to account. Admin can select only to display the Greeting Message on first time login to the account. Once selected, it will display the Greeting Message during first time login only (in both web and mobile app). Always display when login to account. If the Admin selects “always display when login to account”, the Greeting Message will always be displayed every time a user login to the account. i-Neighbour has added a new hardware integration to the BLE, Smart Turnstile. Admin can configure the access right of the Smart Turnstile for both administrator and residents. Smart Turnstile has multiple ways of lock access such as Button, QR code, Auto unlock with timer and voice command. Likewise, the access right of the turnstile will need to be configured by the Admin. The neighbourhood admin need to select a unit and users, then choose whether to allow access for Mobile, Access Card or both. 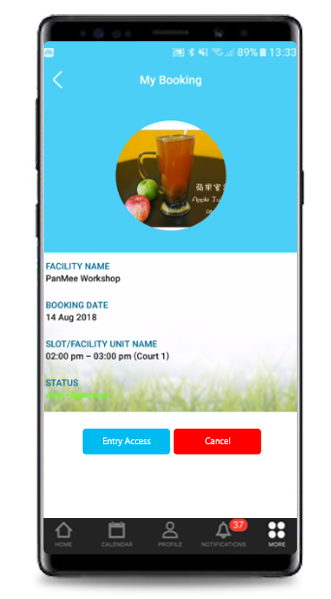 Smart Access can now be connected to the Facility Booking. You can integrate your BLE devices and Smart Lock into your facility entrance/exit. Once the facility is booked and approved, the resident can access to the facility within their booking hours. The neighbourhood admin will have all the facility booking records of the residents. This feature can save more time and make life easier for the residents as well as the admin in facility booking management. E-Form is a convenient feature for an Admin to collect application forms without needing residents to walk-in. In this latest update, we have added up to 6 default templates within i-Neighbour. When the facility successfully linked with our Smart Devices/BLE, Admin can configure the settings and allow residents to access facility via Mobile Phone. Once the Admin approved the booking request, the residents will be able to gain access during the approval booking period. Residents will then be able to use the method which admin had previously allowed them to access the respective facility. 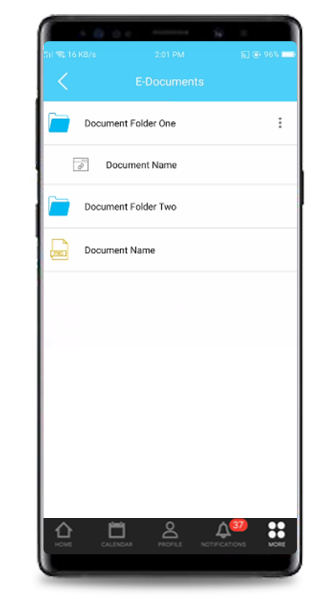 E-Document has been given a new UI design to improve user experience. Furthermore, we have also added an option whereby Admin will be allowed to configure and share the E-Documents to specific role. Documents will only show if user role is selected to view the file. Thus, it will be hidden when they are not within the selected role.! i-Neighbour is a comprehensive Smart Community Solution that runs via Cloud. If you enjoy using i-Neighbour, kindly remind your neighbourhood admin to renew the subscription. We have added a kind notice to let you know if your neighbourhood subscription has been expired but not yet been renewed. If you have only one property registered under i-Neighbour, once the account is expired, the alert message will be prompted. However, you can still download all i-Neighbour data (booking record, billing, visitors in/out record, etc.) within the grace period given. If you have multiple properties which are registered under i-Neighbour, once you logged-in into the account, you will be shown all the units from each neighbourhood. You will be able to see an “expire” indication above the neighbourhood with an inactive account. If the expired neighbourhood is selected, an alert message will be prompted. Greeting Message for mobile app can be customized by an Admin in Web only. Once Admin has configured the message and select “Always display when login to account” OR “Only display when first time login to account”, then the Mobile App will reflect accordingly.